Once you create a map in Google My Maps it is really easy to share with others. You can set up sharing so it is read-only so others can’t edit it or you can share your map with someone else to collaborate on it. To get started click the +Share button. 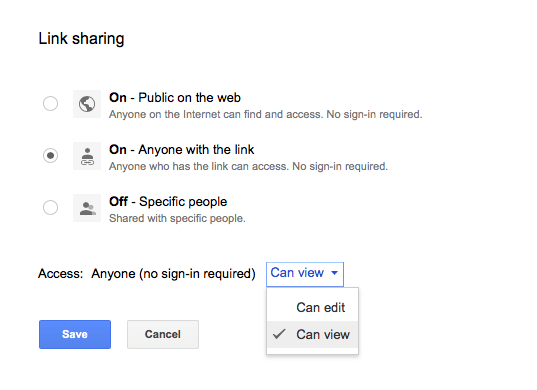 The current sharing settings will be displayed. As you can see the default is Private. Click Change… to adjust this. There are three link sharing options. You need to choose the one that suits you. You also need to decide what level of access people will have. If you don’t want people to be able to change the map make sure you select Can view. When you click save there will be a link you can copy and paste e.g. 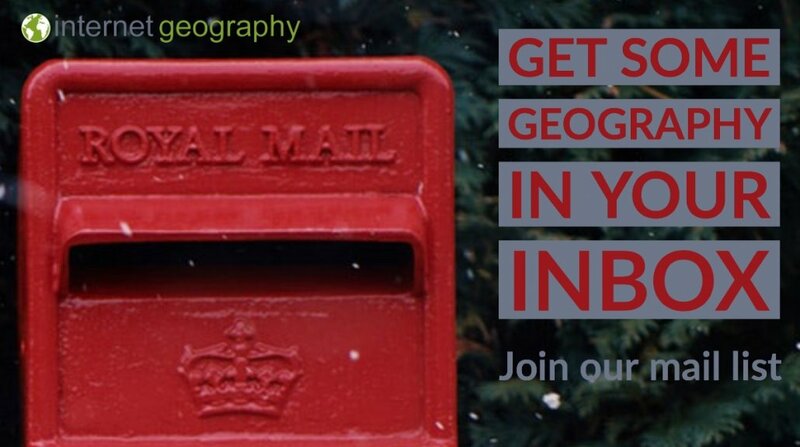 into an email or onto a blog to share the map with others. If you only want to share with specific people then invite them through the Invite people option. Type in their email address. Click the drop-down next to the pencil icon to enable/disable editing. Then click send. If you enable edit rights then your collaborators can edit the map at the same time as you. Take look at the other Google My Maps tutorials for more ideas on how you can use the app for presenting data. If you are looking to further the develop the use of Google Apps in your classroom or school our friends over at Cre8tiveIt.solutions can provide support and training with the use of Google Suite, Google Drive, Google Edu and Google Classroom. Using the measurement tool in Google My Maps How can river data be presented on Google My Maps?